On May 13th, Fr. Stefan Starzynski will be interviewed on the live CatholicTV talk show “This is the Day”. Fr. Starzynski is the author of the book, “Miracles: Healing For A Broken World”. In the book, Fr. Starzynski recounts numerous episodes when he personally experienced miracles, often in totally unexpected places. The book includes stories of tiny infants facing life-threatening medical conditions, of people battling demons and disease, of Fr. Starzynski’s own experience overcoming depression, and more. Fr. Starzynski’s book also includes miraculous testimonies from over twenty individuals and families whose lives have been touched by God through Father Starzynski's ministry. Fr. 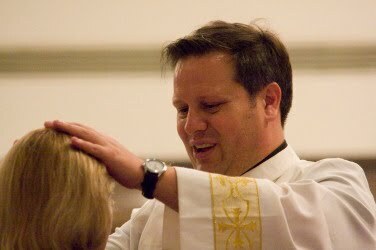 Starzynski is a priest in the Diocese of Arlington, Virginia. Widely known for his healing Masses, he is also a retreat leader and Cursillo chaplain. He is an advocate for the unborn, and the founding member of the Paul Stefan Foundation, an organization that aids women in crisis pregnancies. The Family Rosary Retreat will also be discussed on This is the Day. The Family Rosary retreat is a retreat aimed at encouraging good communication and improving relationships within the family in a Catholic Christian context. This retreat will take place on June 4th, in Easton, Massachusetts. The retreat is one of many organized by Holy Cross Family Ministries. Beth Mahoney, Mission Director of Holy Cross Family Ministries will be interviewed on This is the Day. Fr. Robert Reed, President of the CatholicTV Network will be a featured speaker at the retreat.